We can email / fax an electronic prescription to a pharmacy designated by you – but please ensure you have checked the pharmacy will accept such a prescription before asking us to do this. PLEASE NOTE that we will not post or email electronic prescriptions to you – you must specify a recipient pharmacy who we can send this to directly. If your GP is able to prescribe your medication on the NHS, this will be at the standard NHS prescription price. If this is your preferred choice, we will write to your GP requesting that they prescribe your medication on our behalf. If you have a preferred pharmacy local to your home or work, we can give you a hand signed prescription that you can take anywhere you choose for dispensing. The quickest, most efficient way to get your medication dispensed is by using our partner pharmacy, Pharmacierge – particularly where your pain is severe and you need immediate relief and don’t want to wait for a paper prescription to be posted or wait for an appointment with your GP. If following an appointment you would like your medication dispensed by Pharmacierge we send the prescription electronically to them on your behalf, then they will call you to arrange delivery and payment – they offer free delivery within four hours of receipt of the prescription to London postcodes, free next day delivery elsewhere in the UK, and offer other delivery options and worldwide delivery for international patients. Please see http://pharmacierge.com for details – it’s an exceptional, friendly and personal service from a local, family run pharmacy. They also offer a free repeat prescription reminder service. If you require a repeat prescription you will need to have been formally reviewed by your consultant within no more than 3 months, or less if your last clinic letter has specified. Please check your most recent clinic letter. There is a £25 fee for a private prescription outside of a review payable by card to us at the time of making the request. Please ensure that all prescriptions are requested at least one week prior to when they are needed so that we can ensure you don’t run out. Please note that if you require medication (i.e. a repeat prescription) from your Consultant (whether we prescribe this privately or ask your GP to prescribe the medication) you will need to have been formally reviewed by them within the last three months. This is for Best Practice reasons, to ensure that your medication is always appropriate for your current symptoms and condition, and that the dosage is correct. We will send you two automated reminder emails following an appointment with your Consultant so please ensure that you book in for review regularly to avoid any issues such as running out of medication. A follow up review is 15 minutes and costs £160. IMPORTANT: If you are being prescribed opiate medications and/or benzodiazepines on a long term or regular basis you may require reviews every four weeks with your Consultant, who will write to your NHS GP to keep them up to date. Your Consultant will let you know how often he will need to review you in your particular case. If you have any questions regarding review appointments or prescriptions please don’t hesitate to contact us. 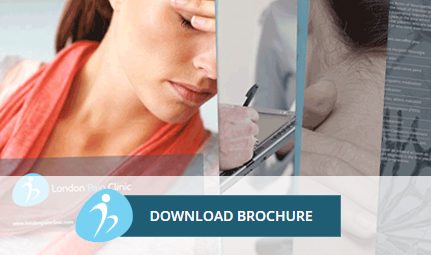 The London Pain Clinic reserves the right to increase prices to reflect increased costs.